Summertime is the most wonderful time of year. After all, who doesn’t love sunshine, long days, flip flops, shorts, and everything else that comes with #notwinter? But. There comes a time (usually around August) when the heat may start to get to you. Sure, you can head to an air-conditioned movie theater or mall, but why do that? We’ve got better ideas. Five of them. 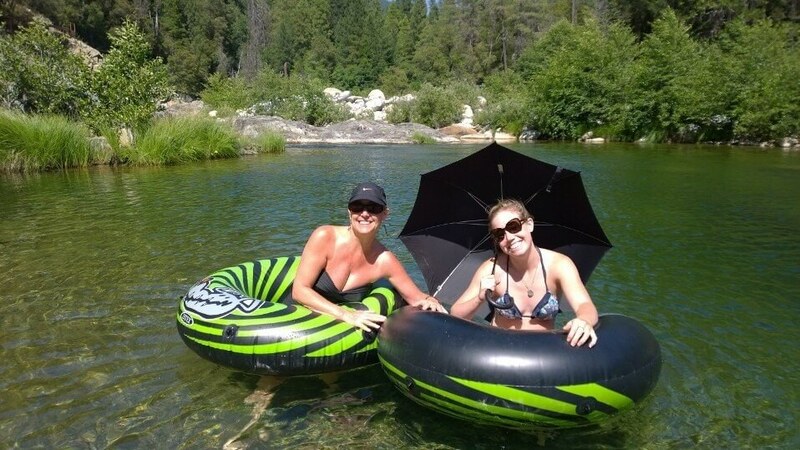 The South Fork of the American River is El Dorado County’s signature river rafting location, offering Class I to III excitement. Trips range from a half-day to multiple days, so it’s up to you to decide how much you want to cool off. You’ll find a slew of professional whitewater rafting outfitters with the experience to ensure you have a safe and fun day. July through September is a good time for families and first timers. Bring your swimsuit, your friends, your family, and prepare to have fun and chill out! The Gold Bug Mine is fun for all ages. Step back in time (and temperature) when you explore the only municipality-owned gold mine in California. The City of Placerville is literally sitting on a gold mine. Gold Bug Park & Mine is a real gold mine built into the side of a mountain. Fun fact: it’s a lot cooler inside the Gold Bug Mine than outside. The average temperature inside the mine is 55 F. When you combine that with the odds of finding your riches in their gem panning area, well, heading here on a hot day is a no-brainer. When you can’t decide between a cup or a cone of ice cream, get both! Zias – This gelateria in El Dorado Hills is just like being in Italy, minus the long flight. Their gelato, sorbetto, and waffle cones are handmade and use quality ingredients like TCHO chocolate. Also, their espresso is the real deal. Riyo Yogurt – Get your froyo fix on in Coloma at this locally owned yogurt shop, featuring a variety of flavors and toppings. Hangman’s Tree Ice Cream Saloon – Enjoy over 20 flavors of ice cream and sorbet along with local history in this restored building and historic landmark that sits on the stump of Placerville’s old hanging tree. Richardson’s Ice Cream Parlor – Located at Camp Richardson, this old-fashioned ice-cream parlor is a great treat after a dip in nearby Lake Tahoe. There’s nothing as fun as jumping into the water to cool off. Desolation Wilderness – Home to Wrights Lake, Lake Aloha, Echo Lakes, and much more. The town of Cool is full of (wait for it) cool places to explore. Pick up a coffee (iced, naturally) and a bite to eat at Cool Bunz and Beans. Their pastries and baked goods are delicious, and they also offer breakfast sandwiches, burritos, and more. If a chilled adult beverage is more your style, check out Cool Beerwerx, a micro-brewery featuring handcrafted beer, Hawaiian-Japanese fusion cuisine, and live music. Try the Stinger Honey Ale, made with locally produced honey.